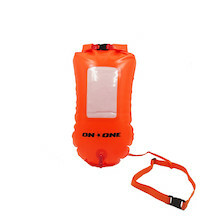 A compact Tow Float designed to carry your essentials and a drinks bottle up to 1.5L in size. 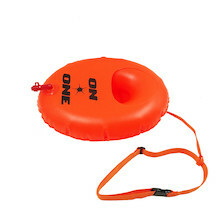 Compact tow float with handy storage for a drinks bottle. 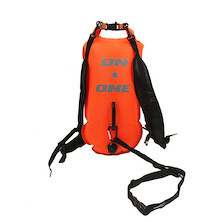 28L or 35L capacity Hi-vis On-One backpack Tow FLoat with shoulder straps and swim lanyard for every keen outdoor swimmer and adventure runner. 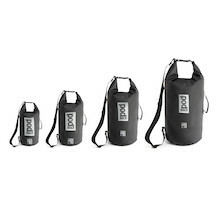 Lightweight, waterproof Tow Float Dry Bags in a huge range of sizes up to 50 litres. 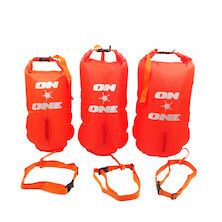 Choose your capacity - up to a huge 50 litres! 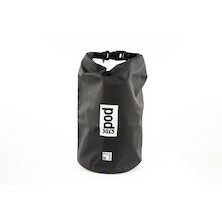 Double bladder tow float dry bag. 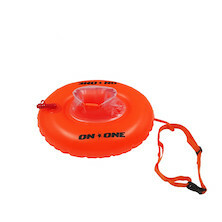 28L capacity Hi-vis On-One swim bouy with contents window, ideal for every keen outdoor swimmer. 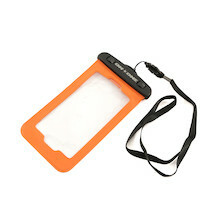 Waist lanyard and multiple grab handles. 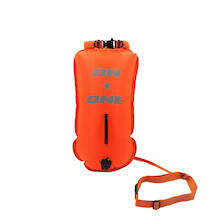 Waterproof Dry Bag Back-pack from On-One. 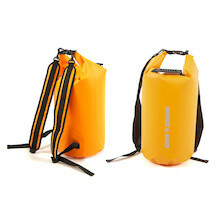 Radio frequency seam welded, 100% waterproof bags in 20L and 30L sizes.